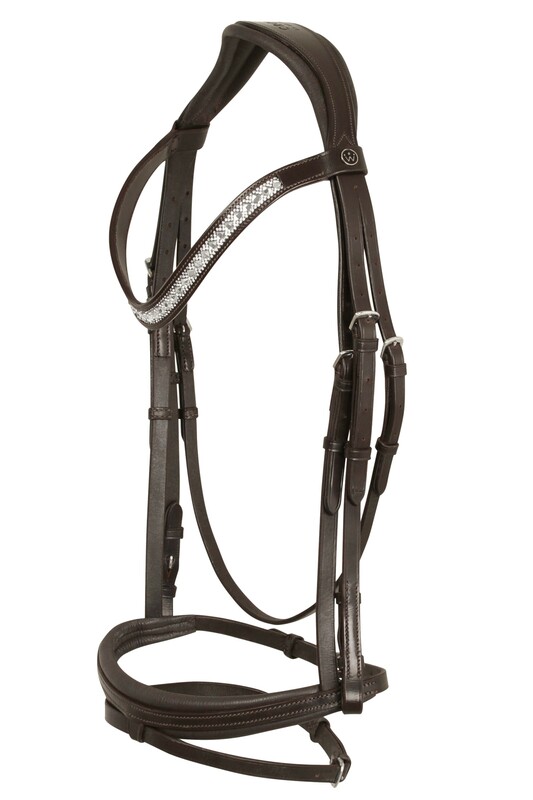 The Casello bridle is not only a beautifyll and elegant bridle but also an anatomic correct bridle. 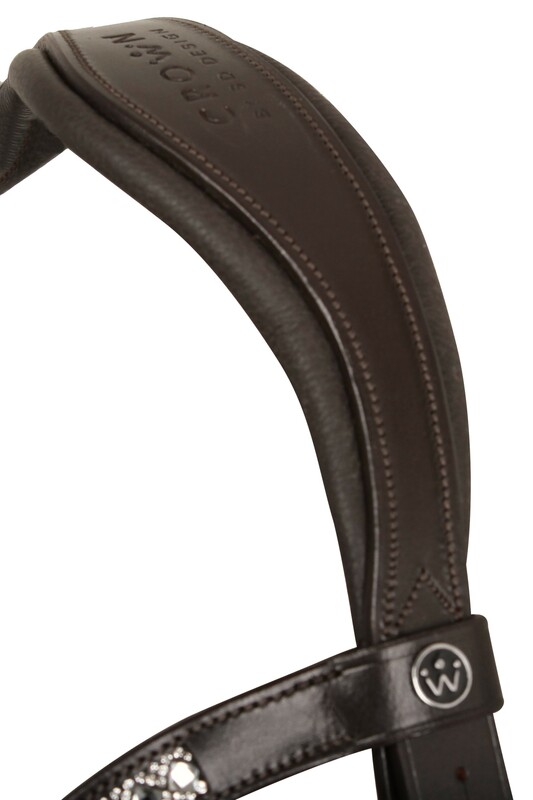 Here you get a bridle with a classic look whose design is based on your horse anatomi. * Memory foam in neckstrap and noseband for optimal preassure relief and comfort. 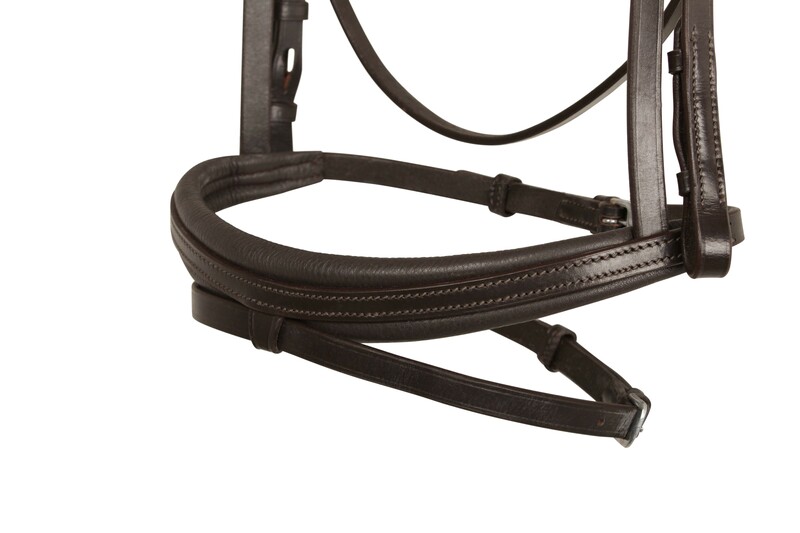 * The bridle weighs very little because of the ultra leight memory foam padding. 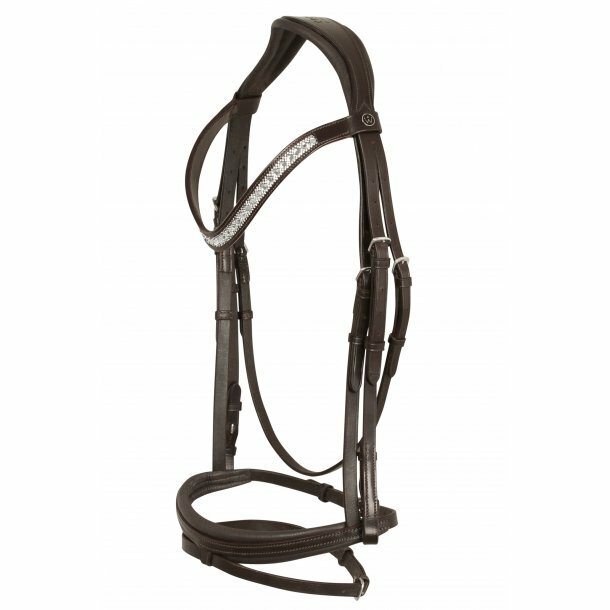 * 6 cm wide neckstrap to minimize the preassure on your horses neck. * Anatomic shaped noseband who is wide in the middle and very narrow in the sides, to avoid preassuring on the fascial nerves. 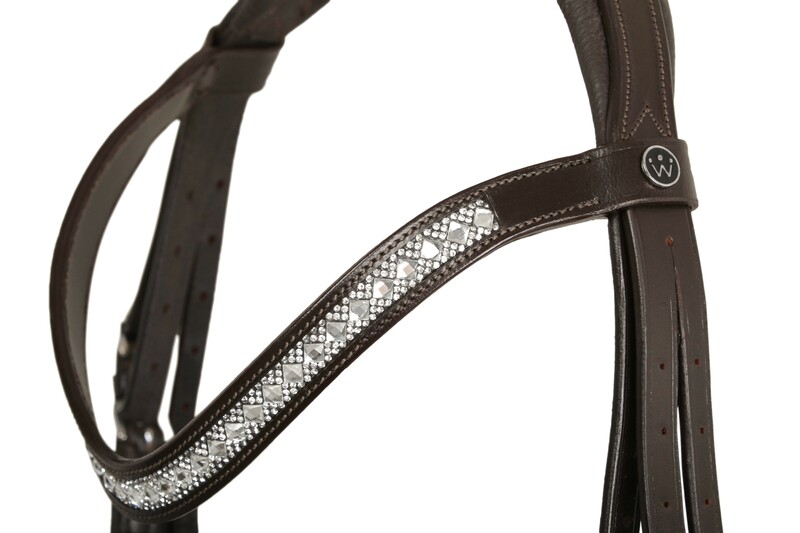 * The noseband is 3,5 cm wide in the middle and only 1,5 cm side in the sides. * French hooks on cheekstraps and reins for a more elagant look.